Hello. I am so happy that you are here and are thinking about exploring all of the wonderful benefits that acupuncture, traditional Chinese medicine, herbs, functional medicine and other natural therapies have to offer. Daily, I am amazed at the wonderful healing that occurs when these modalities are used. I would be extremely honored to gently guide you through the world of acupuncture, functional medicine and natural medicine in Naples, Florida. Let me introduce myself. 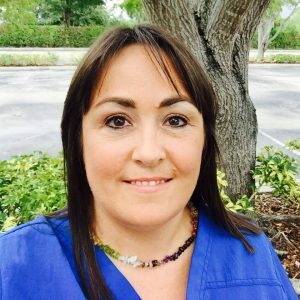 I am Toni Eatros, Acupuncture Physician licensed and practicing in Naples, Florida since 2009. I am a solo practitioner and I rent two treatment rooms out of Dr Nevius’ office in Suite 146 of the Galleria Shoppes at Vanderbilt on the NW corner of Airport-Pulling Road and Vanderbilt Beach Road. I attended Lely High School here in Naples. My undergraduate studies were completed at the University of Central Florida in Orlando. I earned a Bachelor’s of Science degree in Liberal Studies with heavy focus on the physical and biological sciences. Business Administration and Health Science were my minor degrees. While at UCF, I worked for many years for the Student Wellness Advocate Team. I had many roles in this organization that included performing health assessments and giving recommendations to improve health and manage stress to my fellow students. I participated in organizing and running many 5K races and other health fairs and special events during my years at UCF. After graduating from UCF in 1997, I moved out to Seattle, Washington to attend Bastyr University, the leading science-based naturopathic college in the US at the time. I enrolled in the naturopathic medicine program where I completed the 3 year basic science portion of this program. As a part of this program, I studied all of the major natural modalities including botanical medicine, physical medicine, massage, homeopathy, ayurveda, and of course acupuncture. This is when I fell in love with acupuncture. I took as many acupuncture classes that would count toward elective credits in my naturopathic physician degree. Once I met my limit, I knew I needed to know more about this ancient therapy. At this point I decided to enroll in the acupuncture program in the evenings. As you can imagine, two years of intense medical classes from 8am – 8 pm Monday through Friday and working part-time at a health food store on the weekends took its toll on my mind and body. I had to decide which program I was going to complete and which program I was going to discontinue. This was an extremely difficult decision, as I had completed 75% of the naturopathic physician program. In the end, I decided to choose the acupuncture program. One of the main reasons for this is that almost every patient that comes in for treatment leaves my office feeling better than they did when they arrived. I love naturopathic medicine, but I felt that many patients left those visits feeling completely overwhelmed and feeling like they have to change every part of their lives to achieve their health care goals. The great news is, I am able to utilize ALL of my naturopathic knowledge and treatments as an Acupuncture Physician in the state of Florida. I order lab tests and prescribe a variety of herbs, homeopathic remedies, bach flower remedies, vitamins, minerals and other nutritional supplements. I make lifestyle and dietary suggestions to help you heal faster and maintain good health. Click here to see all of the services that I perform at Acupuncture & Natural Health Solutions. At Bastyr University, I earned a Master’s of Science degree in Acupuncture in 2001. I have also completed the requirements necessary to become a nationally, board certified diplomate of Acupuncture & Oriental Medicine according to the National Certification Commission for Acupuncture and Oriental Medicine (NCCAOM). In addition to traditional Chinese medicine I also received training in Japanese style acupuncture from NIAOM (Northwest Institute of Acupuncture & Oriental Medicine), in Seattle, Washington. After graduation, I practiced acupuncture and ran all of the internal operations for Northwest Natural Medicine. In 2009, I decided to move back to SW Florida to be closer to my family. I am the proud mother of a wonderful son and I work hard to balance work and home life as I know these precious years will pass way too quickly. My intensive medical school and science training sets me apart from many other acupuncturists. Having studied disease processes from both Western and Eastern perspectives, I can easily discuss your health concerns with your mainstream medical providers. I can also help you understand your illness and concerns and explain what options, other than pharmaceuticals and surgery, may be available. I am knowledgeable about most types of health care issues, disease processes, and treatment methods. I believe in integrated health care and think that health care practitioners should speak to one another about their patient’s health care needs. This increased communication between providers will make for more comprehensive treatment approach and better quality care for you. Over the years of completing my annual continuing education requirements, I was fortunate to study with Dr Tan. He taught me the balance method style of acupuncture. This particular style of acupuncture has transformed my practice. Results are seen within minutes of the beginning of treatment. The balance method effectively treats all pain conditions, digestive disorders, depression, anxiety, gynecological disorders and many other disorders. Please be sure to go to the conditions treated page for a more comprehensive list of conditions successfully treated with acupuncture and functional medicine in naples. I also discovered the wonderful world of Auricular Medicine during my continuing education pursuits. Dr Li-Chun Huang has developed Auricular Medicine into a stand alone medical system, separate from all other modalities. Using a machine, dubbed the “Chinese MRI”, and by looking at and feeling your ears, I am able to diagnose and treat over 500 symptoms and 200 disease processes in the body. I can do this without the use of high tech, expensive imaging, blood tests or even one acupuncture needle. My practice has, again, transformed as a direct result of implementing Auricular Medicine into my treatment plans. I have a fascination of all ancient healing therapies that have withstood the test of time. Acupuncture is over 3000 years old and is spreading like wildfire through the United States and the world. In addition to acupuncture, I have also studied in the 3500 year direct lineage of King Salomon through the Canadian Modern Mystery School. As a certified Life Activation Practitioner and second-step initiate, I use a variety of energetic healing techniques including crystal healings, aura healings, life activations, and full energy balancing sessions to help others attain their spiritual connection and empowerment. In the late spring of 2017, I finally found what I was looking for when I embarked on my naturopathic medical training, functional medicine. I enrolled in a 12 month mentorship program with one of the leaders of the functional medicine field, Dr Dan Kalish and the Kalish Institute. The Kalish Institute has trained many of Dr Mercola’s staff and has worked with the Mayo clinic to do a functional medicine research study. As of the time of this writing, the functional medicine industry is experiencing a 30% growth rate. The reason for this is because it combines our modern medical world with natural medicine. Functional medicine corrects the root imbalance, and helps people wean off of many of their pharmaceutical medication that isn’t fixing the problem, but rather just modulates symptoms. We test the hormonal, digestive and detoxification system using state of the art, cutting-edge lab technology. We then use those results to formulate a custom treatment plan. Instead of using pharmaceuticals to treat symptoms, we use natural products to repair and restore the system function, thereby alleviating symptoms. Click here to read more about the amazing world of functional medicine. Contributing to our veterans is important to me. I happily work with local veterans that have a referral and authorization from their primary VA doctor via the Choice program. There is no out of pocket expense for those that qualify. I encourage all veterans to get a referral and come in for treatment. Acupuncture heals the physical body, as well as the emotional body. It increases general feelings of well-being and increases your ability to manage incoming stressors. Stress management is key to good health. I strive to provide a pleasant and relaxing treatment atmosphere with dim lighting and soft music. I provide a place where you can relax without interruption. Almost everyone leaves the treatment feeling lighter, more relaxed, more in balance, and with fewer symptoms. I have many tools in my toolbox. So, if you do not want to treat your condition with pharmaceuticals or surgery, I highly encourage you to come in and see what results can be achieved with my custom, comprehensive treatment approach.